The Picnic trolley basket is a deluxe large handmade willow basket complete with a cool box draw with bottle straps. The basket is supported on a trolley with an adjustable handle to easily stroll to your perfect picnic spot Inside the basket is spacious complete with plates, cutlery, glasses, napkins, and a waiters friend. 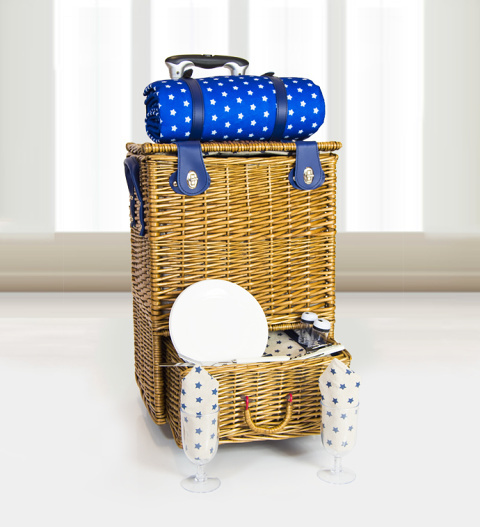 The picnic trolley is perfect for four persons and is available for UK next day delivery.